Observation - Xanthoria parietina - UK and Ireland. 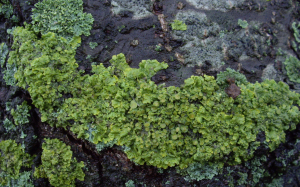 Description: It is growing on the trunk of a mature Italian Alder. It is growing on the trunk of a mature Italian Alder.